This course is designed for adults with a plenty of performing experience. The course includes workshops and masterclasses in: theatre production, acting for stage, acting to camera and film production, the meisner technique and the chekhov method, mime and movement and (availability pending) a casting workshop with a leading casting director. 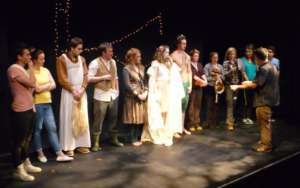 At the end of the course students take their ATCL Acting Diploma in Speech And Drama, and take part in a showcase performance in a city theatre. 7.30pm – 7.45pm – Warm ups. We begin each class with vocal and physical warm ups covering breathing capacity and control, resonance, relaxation, stretching and more. 7.45pm – 9.00pm – Practical class. In this class we cover a selection of carefully chosen acting methods and techniques including (amongst others) the meisner technique, the chekhov method and improvisation. 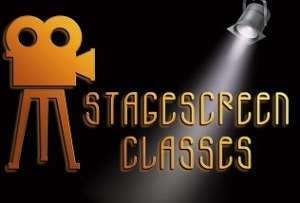 Workshops in acting to camera, mime and movement and film production are also included. In terms one/two we will film showreel material for each class member, and in term three we will prepare for a showcase in the Sean O’Casey Theatre. 9.00pm – 10.00pm – Exam class. In this class we prepare students for their practical exams at the start of June. 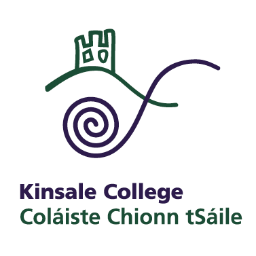 These exams are administered by Trinity College London and taken in Dublin. The exams require students to present a professional programme of monologues, poetry and narrative verse in addition to a presentation on an aspect of performing, improvisation and sight reading. Please note the above schedule is subject to change. Course Times Tuesday or Friday evenings. Career Path Ideal for anyone wishing to pursue acting as a profession.